The go-home Raw for SummerSlam last night averaged 2.82 million viewers, up just under one percent from last week. 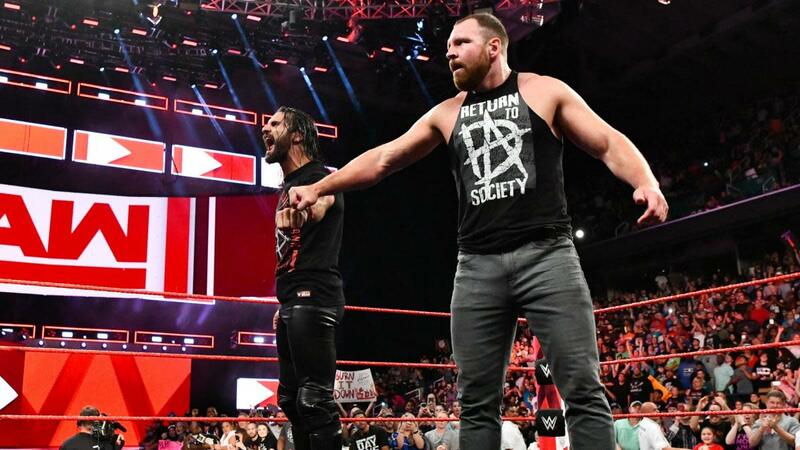 The audience stayed relatively steady through all three hours with, once again, a much smaller than usual third-hour drop, which would indicate the tease for the Seth Rollins-Dolph Ziggler contract signing kept the audience. The show ended with Dean Ambrose making his return to television after undergoing surgery for a torn triceps this past December. He'll be in Rollins' corner against Ziggler on Sunday, with Drew McIntyre accompanying Ziggler. Raw was third for the night on cable, trailing Rachel Maddow and Hannity, after being first the prior two weeks. Raw also beat ABC in hour three and CBS in hour two, as well as all shows on FOX and the CW. In particular, both teenage boys and girls peaked in hour three.